Rotovac is a revolutionary carpet cleaning system making waves in residential and office carpet cleaning. 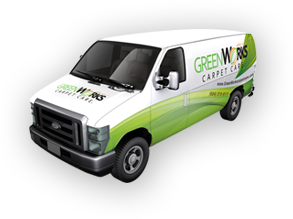 It’s especially geared towards high performance, changing the future of carpet cleaning. Cleans carpets better with less effort. 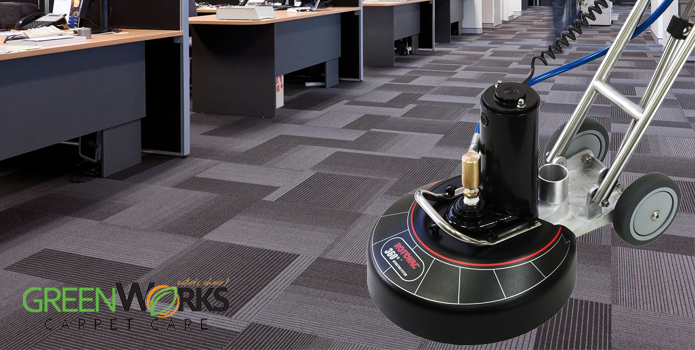 The Rotovac 360i is a powerful rotary jet extractor that makes use of rotary vacuum heads for an extensive and thorough carpet cleaning. The new and improved rotating vacuum head has three stainless steel shoes and three spray jets. The brush scrubs soil and dirt from carpet fibers. It can also steam clean, plus extract soil and moisture from carpets. Rotovac promotes ease of use even with just one-handed operations. You can operate it like a normal upright vacuum cleaner using one hand. It’s lightweight—weighing only 39 lbs., definitely easy to maneuver and operate. High torque motors guarantee precision performance. Rotovac runs on dual high torque motors especially built for precision performance without getting tired easily. It’s industrially engineered for professional use. The quality of cleaning remains consistent all throughout your use. Think of it this way: the motors provide most of the carpet cleaning muscle for you. That means you can use it without worrying about whether you’re exhausting the motors and need to give it a rest. Cleans carpets from all directions. Rotovac produces intensive cleaning by completing hundreds of multi-directional cleaning passes on the carpet. 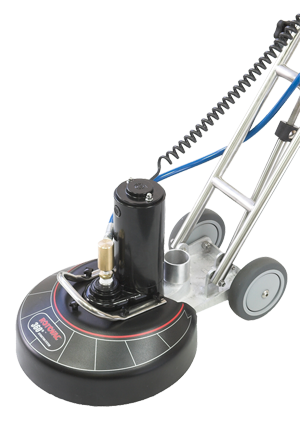 Its rotary vacuum heads rotate at a speed of 250 rpm and can accomplish 1,500 multi-directional cleaning passes in just a minute. That’s 3,000 multi-directional cleaning passes in two minutes! It’s immensely faster and productive than the manual scrub wand method, which can only clean carpets in two directions back and forth with even lesser passes. Cleans carpets faster than conventional methods. With its powerful motors, efficient cleaning components, and 1,500 multi-directional cleaning passes per minute, Rotovac can reduce carpet cleaning time compared to the outdated and oftentimes inefficient manual scrub wand method which takes hours to finish. Rotovac can even restore heavily soiled and stained carpets to its prime condition. It can make carpets look like they’re brand new. The re-engineered vacuum head creates less overspray, leaving carpets 30% dryer than conventional carpet cleaning methods. This translates into faster drying times for your carpets. Cleans all types of carpets and tiles. 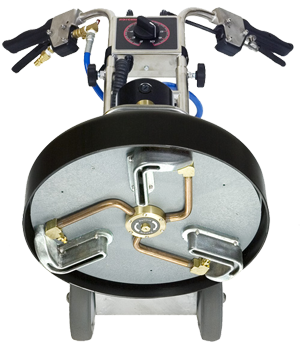 Rotovac has interchangeable rotary vacuum heads that can be utilized to clean various types of carpets and even tiles. It also has an adjustable head speed control dial located at the handle. Use this dial to adjust the rotating speed of the vacuum heads from 0 to 250 rpm. This useful feature makes the Rotovac versatile enough to be used on different types of carpeting—slower for maximum recovery and smooth operation, faster for best results. Since it’s built for high-powered performance, Rotovac is made of highly durable cast aluminum and is supported by a stainless steel frame. You’ll be using your Rotovac for a long, long time.